Doctor Who: Fear Of The Dark | Warped Factor - Words in the Key of Geek. Just what is it about gods & monsters that gives them such a firm grip on the popular imagination? 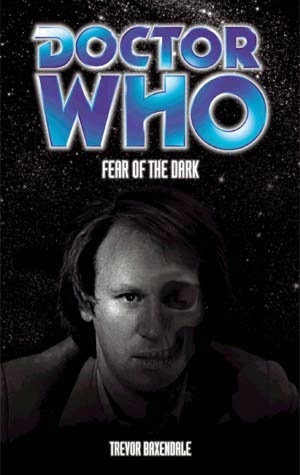 The Doctor has faced more than a few in his time, but probably none like the Dark! 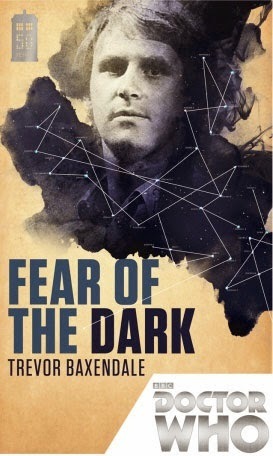 Which is what makes Trevor Baxendale's Fear Of The Dark (selected as the Fifth Doctor's entry in a series of 50th anniversary set of novel reprints) so remarkable. After all just how do you fight back against an enemy you can't see? That's the quandary in which he, Nyssa & Tegan find themselves after the TARDIS materialises on perhaps the ultimate Godforsaken rock- the planet of Akoshemon. Centuries ago the Dark laid waste to the place before being trapped by some of its earliest settlers. But now it stirs once more, seeking a flesh & blood existence in ''our'' universe. In his introductory essay the author makes the very good point that ''our most human of Doctors was often faced with our species at its most inhuman''. Cruel indeed that he should find himself "as far from civilisation and cricket and a nice cup of tea as its possible to get''. Fittingly though, the prologue finds Nyssa, last daughter of Traken in troubled slumber. For ''every dream exists on the precipice of nightmare''. And through her the malevolent force gains entry to the Type 40. Ironically it's longing for corporeal form will prove its undoing, while the Doctor's quest to halt the spread of its cloak of blackness upon the world will make his fallibility all too apparent. Many deaths will come before the end, but he & his companions will survive- possibly tainted by the experience. History records the evil of the Dark, a stain upon humanity! 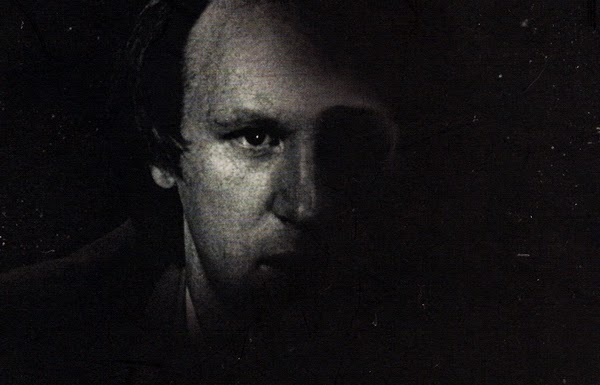 "At first they could not find it, because it had no lair: its tumescent evil existed outside the natural physical laws of the universe, like an abscess on reality. But its effects were all too apparent: greed, hunger, strife, violence, betrayal...everything that is awful and evil to us. Eventually they tracked it down, and found it in the shadows. The being they sought concealed itself there, living at one with the darkness. They called it simply the Dark." It was burned alive, needing pitch black to achieve physical form. And after burning it left ashes which were buried deeply in Akoshemon's moon. But while its body had died, its mind lingered. "It knew there was still a chance of life, of freedom. All it required was the blood of its enemies. The blood of human beings to act as a glue to join together the burnt remnants and its vile mind." The man he will become in five selves' time will face something similar in The Satan Pit! "I accept that you exist. I don't have to accept what you are, but you're physical existence, I'll give you that. I don't understand. I was expected down here. I was given a safe landing and air. You need me for something. What for? Have I got to, I don't know, beg an audience? Or is there a ritual? Some sort of incantation or summons or spell? All these things I don't believe in, are they real? Speak to me! Tell me! You won't talk. Or you can't talk. Oh, hold on, wait a minute, just let me. Oh! No. Yes! No. Think it through. You spoke before. I heard your voice. An intelligent voice. No, more than that. Brilliant. But, looking at you now, all I can see is Beast. The animal. Just the body. You're just the body, the physical form. What's happened to your mind, hmm? Where's it gone? Where's that intelligence?" Yet success in unifying mind & body proves the undoing of the Dark. "An immortal, evil intelligence left over from the remnants of the universe that existed before this one. It hung around the cosmos like a ghost searching for a way to exist properly. It nearly managed it on Akoshemon. But when it finally succeeded in taking on life, it sacrificed its immortality." DOCTOR: What would happen if one person dreamt here alone? KARUNA: It is forbidden. There are powers waiting to be born. Powers of great evil. There is great danger in dreaming alone. DOCTOR: Then I have to wake her. DOCTOR: I have to take that risk. Tegan? Tegan! TEGAN: Doctor? Where have you been? TEGAN: Of course I am. I fell asleep, that's all. I had the strangest dream. DOCTOR: Now come on, Tegan, you must tell me. DOCTOR: You've been asleep for nearly two days. TEGAN: What? What's going on? Who are these people? DOCTOR: Oh, not now, Tegan, please, there's no time. You must tell me about the dream. It's very important. The Mara, named after a Buddhist demon & modelled on the serpent that tempted Adam & Eve is that very snake. TEGAN: Whose dream is this? TEGAN: That's right. There was this man coming, an unhappy man, a native. DOCTOR: Don't be silly, Tegan, it can't have been. Come on, what did you do? TEGAN: Well, if you must know, I climbed a tree and dropped apples on his head. Look, it was only a dream. I wasn't myself. DOCTOR: No, of course you weren't. DOCTOR: Isn't it obvious? Your mind and body were occupied the Mara, who found its path to this world through your dream, just as Karuna said. TEGAN: Hang on a minute. And hang on we shall, the pondering of it as Biblical allegory a story for another day!